Explore the history, science art and craft of timekeeping! The Museum of Timekeeping looks after a fascinating collection of clocks, watches and other timepieces, exploring the story of timekeeping past, present and future. We are a working museum, with many of the clocks, watches and other timepieces on display in working action. You’ll be mesmerised by the sights and sounds. You can see hundreds of different timekeepers- ranging from tiny watches to enormous church clock mechanisms. From impressive artistic and engineering designs, to other ordinary looking clocks and watches with the most incredible histories, you are sure to find something to get your imagination ticking! Discover incredible exhibits including the watch worn by Captain Scott on his ill-fated polar expedition of 1912. See a working 17th century lantern clock and hear its loud chime. Listen to the sounds of Britain’s first three Speaking Clocks, including the voice of the original 1936 machine in working action. The Museum is based at the home of the British Horological Institute at Upton Hall, in the village of Upton, Nottinghamshire. We are located between the scenic towns of Newark on Trent and Southwell. During your visit, you can also explore the grounds and grand rooms of the beautiful, grade II listed building that houses the Museum. 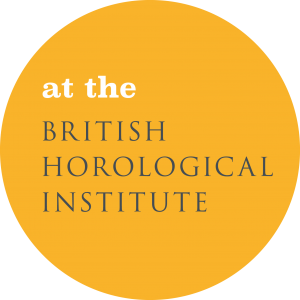 You can also discover more about the long, rich history of the British Horological Institute and its members, who have promoted the study and practice of clock and watchmaking since their foundation in 1858. Whether you’re visiting with family, friends or as a group there is something for all ages and interests at the Museum of Timekeeping. Please visit our events pages to find out more about upcoming events. We look forward to meeting you. “A ticking gem of a museum… from the second I walked in I was hooked. The next 2 hours vanished as I explored the amazing exhibits. “The museum’s home Upton Hall is a lovely period building with a rich history set in beautiful grounds. “Fascinating place. A must go-to visit and you will be amazed by the way timepieces have evolved.